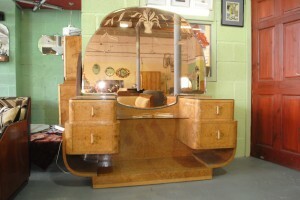 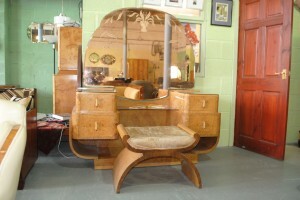 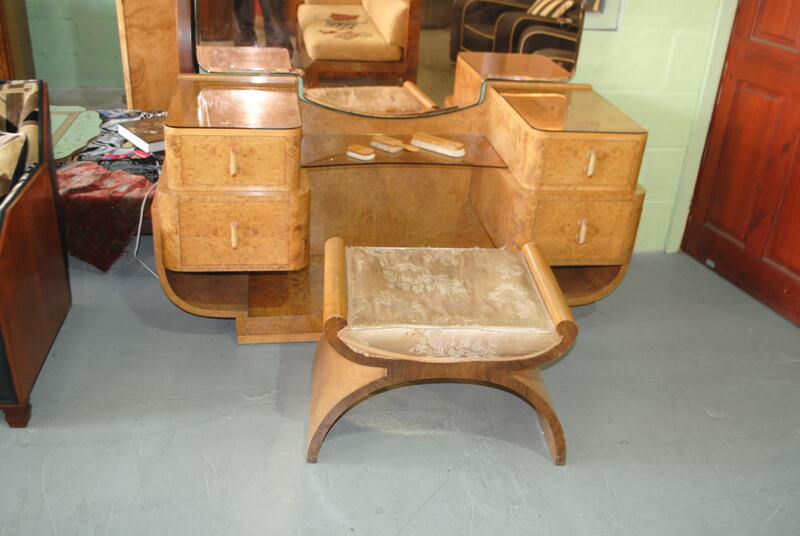 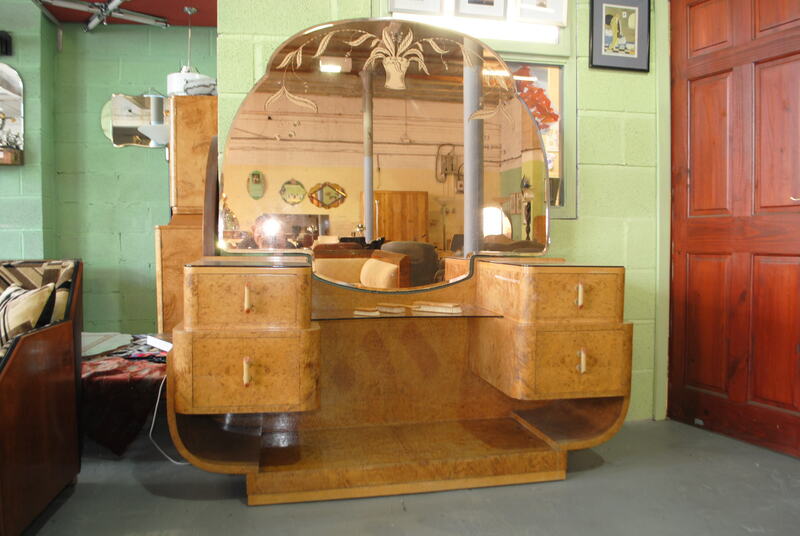 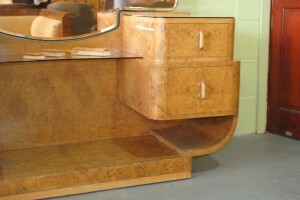 Here we have a large Epstein dressing table on the classic U shaped base complete with its matching Stool. 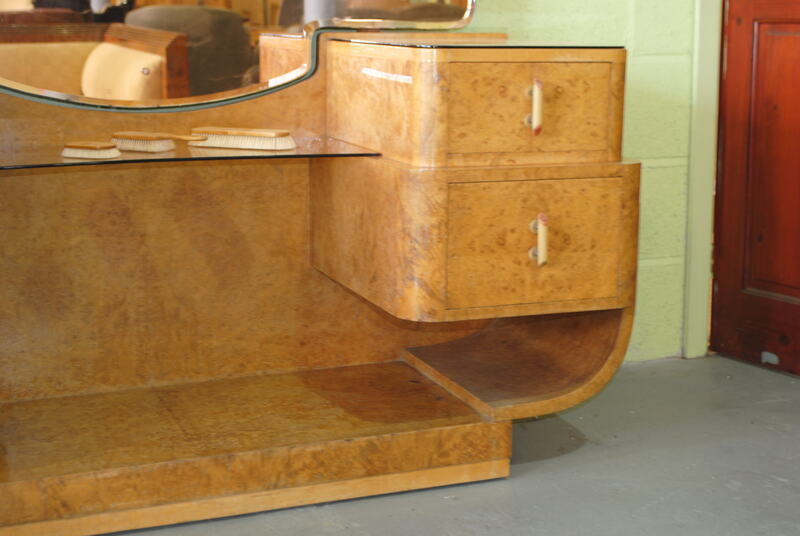 We plan to fully refinish these beautiful pieces of Epstein furniture back to their 1930′s splendour. This was one of the better and early Epstein brothers designs and everyone is looking for this U or boat base design as its sometimes referred as. 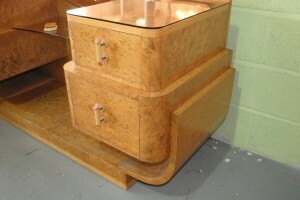 The stool can be upholstered in your choice of fabric or leather. 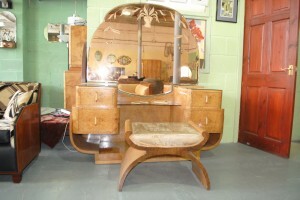 The images are of pre restoration but i assure you this one will look special once our restoration expert has completed his work.